Nicholas William Battle was born January 1, 1820 in Warren County, GA. He graduated from William & Mary College with a law degree and began his career as a lawyer in Forsythe, Georgia in 1844. In 1850 he moved to Waco, TX. Upon doing so, he purchased some land along the Brazos and opened a private school in a small house there. When R.E.B. Baylor got to Waco a year later as the first district judge, there was no courthouse so Battle closed his school and let the court use his building for its purposes until a new courthouse was developed in 1854. His role as schoolmaster was not altogether abandoned because in 1852, Waco 92(then called Bosque 92) made Battle the chairman of a committee charged with establishing the Waco Masonic Institute. This lodge committee made its report to the citizens of Waco on November 13, 1852 and the report was favorably received and accepted by the people. In that report, the committee laid out a plan for the Institute that included a college for women and a high school for men. As a result of the citizens’ acceptance, the schools were formed and Waco 92 assumed control as a supervisory board. The lodge members who signed for this committee were: N.W. Battle as chairman followed by committee members R.N. Goode, Jas. J. Riddle, Shapley P. Ross, John A. Satawhite, B.D. Arnold, George B. Erath, John M. Stephens, George E. Burney, William J. Barrett, N. T. Sneed, and E. J. Gurley. Organization of the Female Academy was such that Waco 92 was its sole trustee/owner and it was operated by a board of seven directors, selected annually at the lodge by ballot. Eventually, the Lodge agreed to merge the academy with by the nearby Methodist Female Institute. Together, they later became Add-Ran College and provided women with a superb education in Waco for many years before it was again transformed into Texas Christian University which relocated to Fort Worth after a 1910 fire at its Waco campus. Battle was on the short list of lawyers named in 1851 by the newly formed district court and in 1854, he was elected district attorney. He must have done a good job as such because in 1858, the citizens of Waco made him Judge of the Third District Court. His father had also been a judge and it proved to remain a family tradition for years to come. In 1862 he resigned to fight in the Civil War. 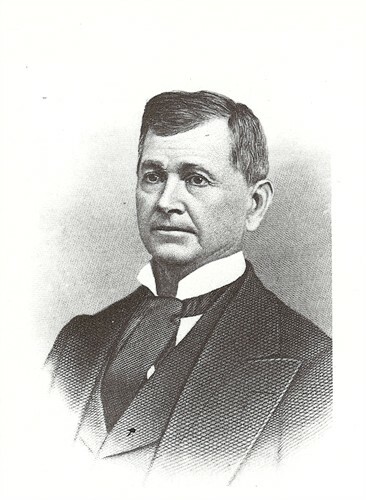 At the close of the war he returned to Waco and continued his work as a lawyer until Waco 92’s own Governor Richard Coke selected Battle as judge of the Criminal District Court of McLennan, Falls, and Robertson Counties in 1874. Battle again set up a private law practice in Waco, which he continued until 1888 when he moved to Seattle, WA where he resided with 2 of his sons until his death. One of his sons later served as Secretary of the Interior for President Taft and a son-in-law, L.W. Goodrich, sat in the same position N.W. Battle once held, as district judge for Mclennan and Falls counties. When Battle resigned from the court to join “the cause” in 1862, he promptly gathered up a company of men who, with him as their leader, offered themselves for service. He was made a lieutenant colonel in E.J. Gurley’s Cavalry. For one year, he and his men protected supply lines along the coast until they were transferred to Indian Territory north and northwest of Texas. In 1864, Battle led a group of 500 soldiers with the perilous task of attacking Union posts and supply lines around Roseville, Arkansas. They then moved south and fought in the engagement at Poison Springs. It is interesting to note that while Battle fought for the South and owned slaves prior to the War, he not only made the significant decision as a judge disallowing the return of freedmen into slavery. Many years later, the obituary for one of his own former slaves spoke fondly of Nicholas Battle for his efforts in helping to establish the freedman as a citizen and person of respect in the community. The town of Battle was named in his honor because he donated land for its creation. You can see it on our map by clicking here.